This site was produced on an Apple Mac Pro computer. The main software used was Dreamweaver, to produce the html coding, and Photoshop, to edit and resize photographs and graphics, both software titles are part of the Adobe Creative Suite. Photographs were taken using originally an a350 Digital SLR camera, now replaced with an a77 Digital SLR camera, and a Cyber-shot DSC-HX5V compact camera, now replaced by a Cyber-shot DSC-HX90V, all manufactured by Sony. Photographs were improved and clipped using Aperture software from Apple (now discontinued), and Adobe Photoshop Lightroom, also part of Creative Suite. 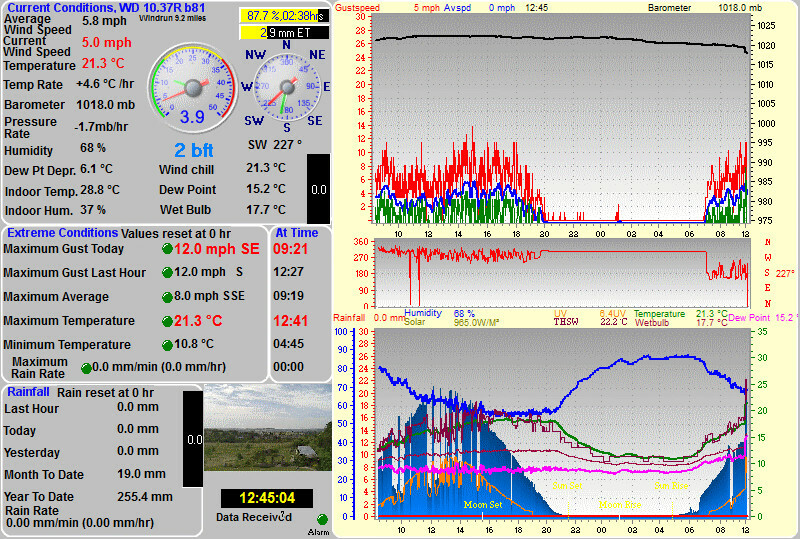 The station is powered by a Davis Vantage Pro2 weather station purchased from The Weather Shop in Sussex. The station is positioned well away from the house alongside the fence separating the wildflower meadows from the large field. The station is comprised of an anemometer, a rain gauge, a UV sensor, a solar sensor and a thermo-hydro sensor situated in optimal positions for highest accuracy possible. The station is connected by wireless to the base, which is in turn connected to a Mac Mini computer using a data logger device. Data is collected and the site updated every 30 seconds. 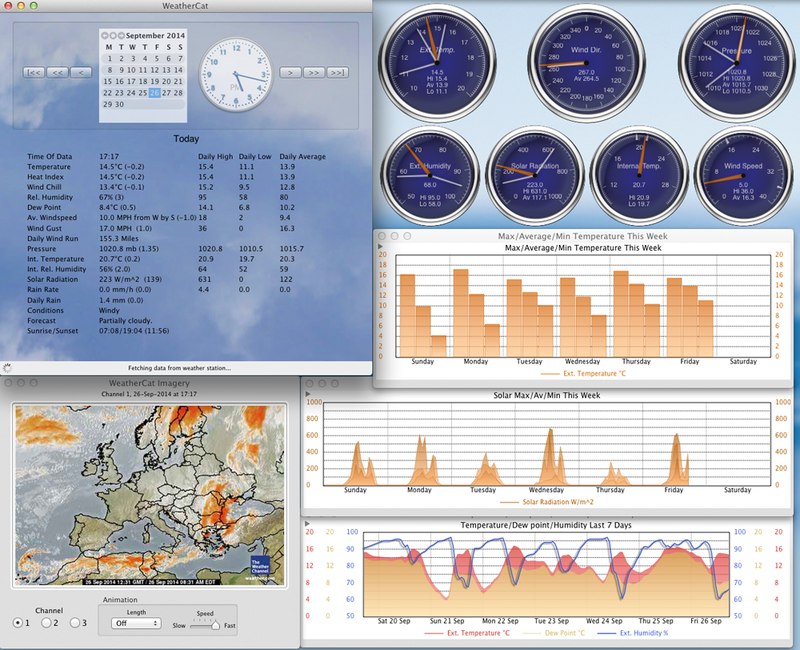 The data was originally collected using Weather Display Software, written and maintained by Brian Hamilton. The version used was running under Windows 7 on a Parallels Desktop for Mac virtual machine. The computer used was a 2008 MacBook Pro. The Mac / Parallels / Windows combination was a big drain on the MacBook Pro computer, resulting in frequent crashes and freezes. Following a serious equipment failure in July 2015, resulting in a loss of two days data, Trixology's WeatherCat software was installed to drive the weather station. This is a Mac OS program and has resulted in a much more reliable system. For even greater reliability, the MacBook Pro was replaced by a 2012 Mac Mini.